Commercial models Side mounted sand media filter with UV and corrosion resistant, Hydraulically balanced umbrella - fold laterals for balanced flow, backwashing and easy maintenance, Flanged end connection for Valve battery assembly. Top opening of 300mm dia for media filling. In order to keep pace with never ending demands of customers, our company provides an excellent quality range of Commercial water System to our reputed customers. This Commercial water System is precisely manufactured by our deft professionals using optimum quality raw material and sophisticated technology. Besides, clients can avail it as per requirement. How 25 litre commercial ro system works ? It is customize, non-chemical, environment friendly mono pole BUILDING MAGNETIC WATER CONDITIONER for soft magnetic water for drinking, bathing, washing and healthiness of human body forever. 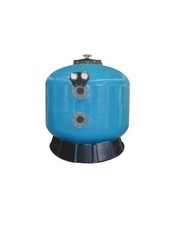 Application: The MAGNETIC WATER CONDITIONER has the potential to remove scale from pipes; Bath fittings etc. We are offering Commercial Water Purifier to our clients. Make – Lubi / Equiv. 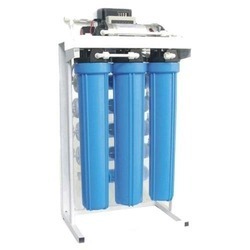 We offer Commercial Water Filter widely. Our range is manufactured using premier quality that are in compliance with international quality standards. It has a fine motor and this model is featured with liquid free, efficient in torque transmission, capacity to hold maximum properties of solids and better technical support. Most customers preferred to purchase quality products, so we are involved in providing Commercial Water Filter.